INVENTERY is a brand I was introduced to within the last 18 months when founder/owner Jeffrey Cheng reached out and asked if I’d like to review some of their models and I was certainly impressed. Even being a one man band, Jeffrey has designed and executed some top notch products that I think pen folks would enjoy. This time around INVENTERY was kind enough to send me some samples of their newest product that they call the mechnical pen and pencil which, in essence, is a retractable barrel that has interchangeable ballpoint and pencil capabilities which is actually pretty awesome. Now, I’ve seen quite a few machined pens in my day, but rarely do you see any that have swappable parts quite like this. There are multipens on the market, but they tend to use expensive D1 refill that have low ink capacity. This kind of solves for that. Although, not quite as convenient as a multipen, it allows for similar flexibility. For all of the INVENTERY lineup, Jeffrey has chosen to use brass as his base material although the pen can be had in three different finishes: raw brass, Onyx (black coating), and polished chrome. Oddly enough out of the three the polished chrome is probably my favorite… it has a sleek, uniform design that I love. If sensitive to weighty pens, the brass adds some obvious heft but the pen and pencil barrel only comes in at 1.6oz which is a lightweight when compared to a lot of brass pens on the market. While it is weighty, it is very comfortable to me. To someone that has been around pens for a long time and has used a lot, you do notice some trends in the market of brands using similar mechanisms and parts to execute their designs. The brand Schmidt is well known in the pen world for nibs and refills, but they also make several “off the shelf” parts that creators can adapt into their designs. For the pen experience they are using the internal plastic click mechanism (they use the metal, nickel version on their Mechanical Pen + Stand version that many are familiar with) and for the pencil, the Schmidt Feinminen-System which has it’s own built in clicker. Both mechanisms have an audible and satisfying “click” associated with them. Not crazy loud, but satisfying for sure. The knock piece at the top is machined from brass and finished to match the barrel which provides a nice, seamless look to the overall experience. Being a metal barrel pen there may be hems and haws about the use of a plastic mechanism, but I’ve seen the metal ones break down too. Over time I’ve grown not to worry as much about it, especially when the product is pretty affordable and of good quality. I anticipate with “normal” use this pen will last quite awhile. The experience of swapping the mechanisms out is pretty easy, but takes some thought about the steps. Not quite as simple as popping in a new refill, but doesn’t require any additional tools which is good. The knock piece unscrews from the internal mechanism wherein there is a spring in between. This spring initially puzzled me (as there is a spring at the tip to create the needed tension already), but its sole purpose is to make the knock “button” stay in the upright position at all times. Super interesting design choice and very deliberate. For kicks, I tried the pen without the spring and sure enough it works fine, but the button stays depressed until un-clicked. So, if you ever lost that spring… not entirely the end of the world! That last comment was somewhat in jest, but is completely true. Out of one barrel Jeffrey has created a seamless experience that are both excellent without wiggle or sketchiness of any kind which is pretty fantastic. The Feinminen-System mentioned above comes standard with a threaded tip which INVENTERY took full advantage of. The pencil piece screws in easily to the tip which makes it sturdy and stable while writing. No movement. This is one of the details that I enjoyed a lot about the product. I wasn’t sure that Jeffrey would have done that, but when I found out I was really pleased. Just end to end this product feels really well thought out. The clip is affixed to the pen via the top ring near the knock. Made from steel, it is strong! It has flex to allow it to separate from the barrel, but would take a lot to bend. Although, personally I wouldn’t clip it to anything thicker than a jeans pocket in fear it might permanently spring out. Branding on the pen is subtle (the kind I like) and is found in only two places. There is a small etched “I” logo on the knock, and the word “INVENTERY” etched under the clip out of sight. In addition to the logo under the clip the pen also includes the serial number which is a nice touch. For the Mechanical Pen and Pencil Jeffrey opted to do a kickoff with an Indiegogo campaign and the prices start at just $42 (future retail of $60) for the single barrel with the two options. For what you get, this feels like a fantastic price. Thanks again to Jeffrey and INVENTERY for sending these over for review! Special thanks again to Pebble Stationery Co for providing a set of their Tomoe River pocket notebooks for me to giveaway! The winner is… Cheryl P! Congrats, Cheryl. Connect with me via the Contact page and I’ll get you prize sent out! 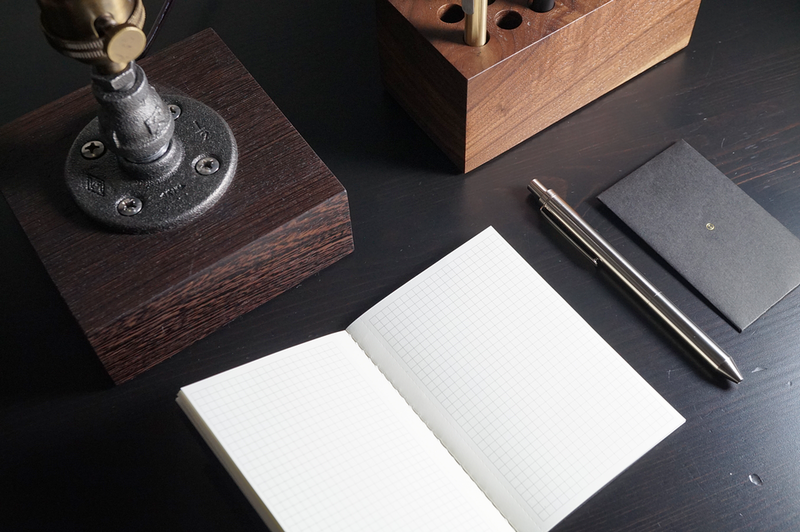 Notebooks, in all of their shapes and sizes are a really important piece in the pen aficionado’s day to day. Actually “paper”, in many ways, is almost more important than the pen… without it, the pen would be useless. I tend to stick to the same products over and over in my own paper using habits, but I often get the chance to try new things which I always enjoy. I was recently contacted by Lois Ho of the Pebble Stationery Co, a small business that has a love for writing and fine writing related products. They were kind enough to send me two sets of their dot grid Tomoe River paper pocket notebooks to try: one set for me and another to give away! Special thanks to them. My personal preference tends to be towards things that are simpler; less flashy. Upon receiving the Pebble books they definitely fit the bill. Their design is clean and simple (maybe even boring to some), but I like them. The packaging is simple, just a plastic sleeve to keep them protected and a cream colored “belly band” with the details and branding. Debossed on the cover is the name Pebble Stationery Co as a subtle accent. The covers are made of a pressed card stock that has a “fibrous” texture. Along the lines of a craft style, but in a light gray. The inside covers are a soft blue (nice contrast) and have a space for your personal details as well as a note from Pebble about their mission. As far as binding, the books are sewn (vs staples), and the outside cover is glued overtop. Pebble opted for a gray dot grid, which is actually my favorite, and nicely matches the exterior cover for some design continuity. 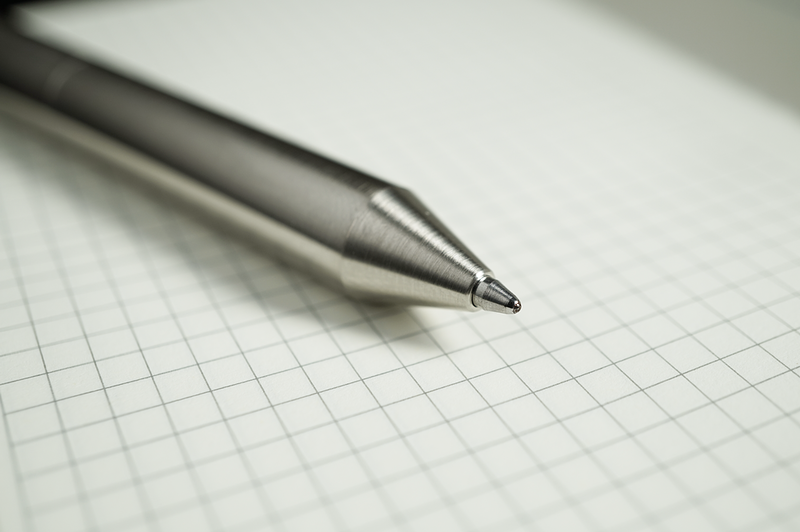 With all good things there are tradeoffs… Tomoe River paper allows the ink to “float” on the page with each stroke which helps with the crispness of the lines. More porous paper absorbs more of the ink and disperses it through the fibers… allowing it to dry faster, but at a lower visual quality. Tomoe River requires a really long dry time to completely avoid smear/smudges. If you use broad fountain pens, it may take a long time. 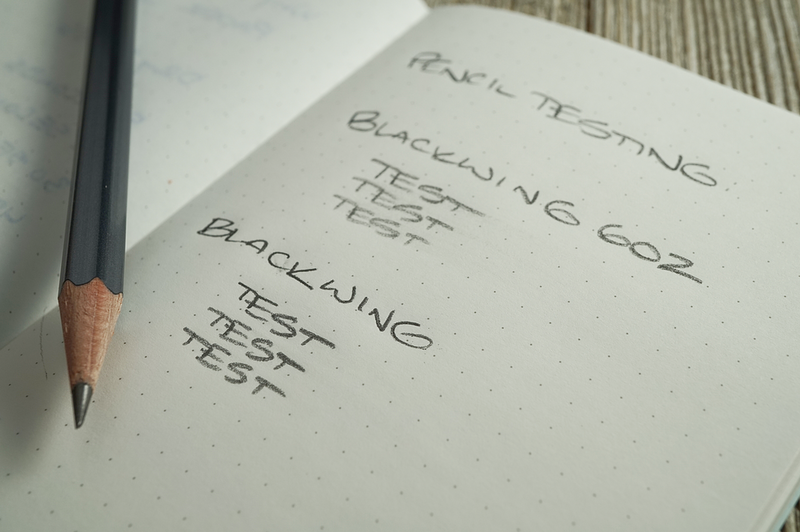 As shown in my testing, even with my medium architect nib on a Pilot Vanishing Point is at the greater than 2 minutes mark for drying. (tested with Iroshizuku Kon-Peki). The paper, of course, performs beautifully with my pens, but if meant to be a place to store quick “pocket” notes, the dry times aren’t ideal for jot and go type scenarios. Price wise, the Pebble books aren’t too pricey considering they are using Tomoe. A two pack is $9.99 USD, and shipping in the US is $6. So out the door of about $8 each isn’t crazy. The bottom line is that these are well made, beautiful books in my opinion and for someone looking for an “upgrade” in pocket books for their fountain pens these might be a good fit. Special thanks to Pebble Stationery Co for sending them! - To enter, leave a comment below (limited to one entry per person; no cheating! ): What is the most recent “new” pen you’ve used lately? What about it did you like or not like? - I will arrange the entries in numerical order and randomly select a winner. The winner will be announced on the blog on Saturday, March 16th and will need to connect with me within a week to claim their prize.